The Marvel Cinematic Universe (MCU) is a media franchise and shared fictional universe that is the setting of superhero films independently produced by Marvel Studios, based on characters that appear in publications by Marvel Comics. The shared universe of the films, much like theMarvel Universe in comic books, was established by crossing over common plot elements, settings, cast, and characters. The first film to be released in the Marvel Cinematic Universe was Iron Man (2008), followed by The Incredible Hulk (2008), Iron Man 2 (2010), Thor(2011), Captain America: The First Avenger (2011), Marvel's The Avengers (2012), Iron Man 3 (2013) and Thor: The Dark World (2013). Four additional films are in various stages of development as of October 2013: Captain America: The Winter Soldier (2014) and Guardians of the Galaxy(2014) are in post-production, and Avengers: Age of Ultron (2015) and Ant-Man (2015) are in pre-production. Two untitled films are slated for release in 2016 as well as one in 2017. The films within the Marvel Cinematic Universe have received both critical and commercial success, and the franchise as a whole ranks as the third highest-grossing film franchise of all time. Outside of feature films, the franchise has expanded into comic books, a series of short films called Marvel One-Shots, and the television series Marvel's Agents of S.H.I.E.L.D. I'm a big fan of the interconnected world of Marvel movies. I'm a big fan of comic books, and of course crossovers, and it's so cool that the project has worked and continued for six years now. 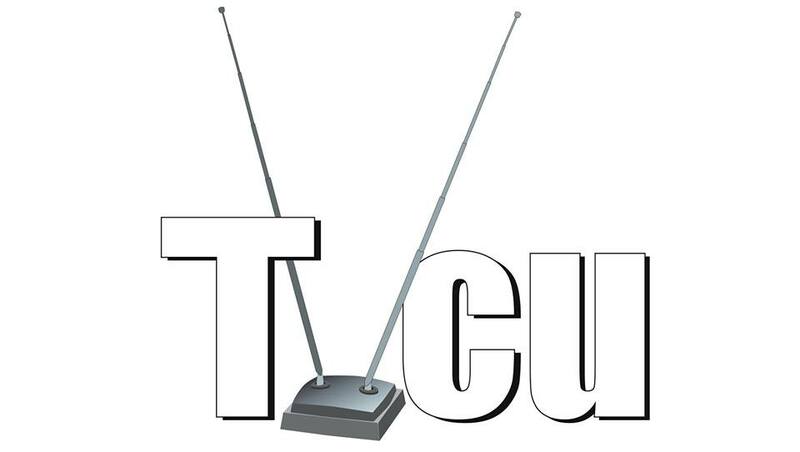 For the past three years I've tried to work the MCU into the TVCU. Because of the reference in Captain America to Raiders of the Lost Ark, there was an in, but with complications, since the TV version of the Hulk (and Thor) were already in, and caused a conflict. So I tried placing the MCU in the Whoniverse (since Sarah Jane's father was Indiana Smith), then tried to work on a way to make it fit in the TVCU2, then finally the main TVCU timeline. But recently, I've come to suspect the MCU might exist in one of the pocket realities associated with the program Once Upon a Time, and I'm very satisfied for now with that. So can there be an Indiana Jones in the TVCU and the pocket reality we call the MCU? Sure, just as the TVCU also has a Snow White and there is a Snow White in one of the pocket realms. Come join the discussion about the Marvel Cinematic Universe or other TVCU related topics here. Click here for the Marvelous Marvels of Toobworld! 25,000 B.C.--SHE-HULK # 5--She-Hulk finds herself herself being tossed through time and space by Doctor Bong. She ends up in Bedrock. 1279 B.C.--HERCULES: THE LEGENDARY JOURNEYS--Hercules meets Thor. 1890s--PARADISE--Wyatt Earp and Bat Masterson appear. Since they are played by the same actors, and those original shows were aired in the 1960s, and this series aired in the 1980s, and since the bulk of those old westerns were taking place in the 1870s, I'm making an assumption this series takes place in the 1890s. Incidentally, this may be the Paradise, CA that later becomes known as Paradise City, "where the grass is green and the girls are pretty", and where "CAPTAIN AMERICA" is torn apart in the 1980s. (In the Wronskiverse, an alternate reality of my creation, this connection is indeed correct, but for the TVCU, I can only speculate.) For more on Paradise, CA, go here. If indeed there was a 1980s Captain America in Paradise City, it would likely be a government sponsored replacement Cap, since Rogers is still frozen in the ice. 1940s--CAPTAIN AMERICA: THE FIRST AVENGER--This is the TVCU canon version of Steve Rogers. The comic book version exists in a divergent timeline. This film has a crossover tie to Indiana Jones, my basis for bringing the Marvel Cinematic Universe into the TVCU. All other Captain Americas between 1945 and 2008 are replacement heroes sponsored by the government. Nick Fury plays a minor role in Captain America: The First Avenger, where he greets a newly-awakened Steve Rogers and invites him to join the Avengers. Tony Stark's father is a major character in Captain America and gets a name-drop in Thor. 1942--ESSENTIAL SGT FURY AND HIS HOWLING COMMANDOS VOLUME 1--From James Bojaciuk: The very first issue opens with a two-page spread of everyone in Nick Fury's squad, all accompanied by a paragraph description of each Howler. Dino Manelli's intro is worth sharing: "You might have seen him in the movies, under another name; for this handsome swashbuckler gave up a promising career as an actor in order to repay the country he loves for all it has given him!" The "another name" bit confirms that Dino Manelli *is* Dean Martin. 1957--INCREDIBLE HULK--TV Movie origin. Placed back here to coincide with the date of the original Hulk's transformation. Scientist David Banner having lost his wife who was crushed by a car is frustrated he couldn't lift it. He experiments with Gamma radiation in order to try to tap the inner potential of the body, but instead is forever stuck becoming the Hulk whenever his heart rate increases (due to anger, stress, ect.) He seeks to find a cure. However, he is thought to be a murderer and is tracked by an investigative journalist. Banner goes under aliases as he travels from town to town during his hunt for a cure and his attempt to avoid the reporter. Summer 1972--3 DEV ADAM (3 MIGHTY MEN AKA CAPTAIN AMERICA AND SANTO VS. SPIDER-MAN--El Santo teams with Captain America in Istanbul against a villain using the name of Spider-Man. August - September 1975--MARVEL TEAM-UP # 36 - 37 “ONCE UPON A TIME, IN A CASTLE…” / “SNOW DEATH! CHAPTER ONE MADHOUSE!” (MARVEL COMICS)--A mad scientist captures the Frankenstein Monster and Spider-Man in his attempt to create an army of monsters. Man-Wolf is a Spider-Man villain who like Morbius got his own spin-off series. Marvel’s Dracula appears in a flashback. Nick Fury appears in a cameo. SHIELD is heavily involved in this story. January 1976--KOLCHAK: THE NIGHT STALKER CHRONICLES--"What Every Coin Has"--Kolchck makes reference to the reporter chasing after the Hulk. The fact that this story occurs before the show debuted confirms that the pilot took place much earlier, around the time of the comic debut. 1977--THE INCREDIBLE HULK: DEATH IN THE FAMILY (AKA RETURN OF THE INCREDIBLE HULK)--David begins a regular pattern of stopping during his quest for a cure to interfere in the lives of others. 1978 to 1982--THE INCREDIBLE HULK--Banner keeps looking for a cure, avoiding notice, interfering in the lives of others, and then smashing things. 1978 to 1982--THE INCREDIBLE HULK (COMIC STRIP)--More adventures of the Hulk. The Hulk in this strip is the Hulk from the TV series, not from the comics, so fits into TVCU continuity. 1984--TRANSFORMERS # 3--I had previously stated elsewhere that Spider-Man had probably never returned from the Secret Wars, but then James pointed out that an older Spidey was still operating in more modern times, and here is more proof that he returned with the suit that would be Venom. One of the Transformers would later appear in Secret Wars II, but I do not consider major Marvel crossovers as TVCU canon. However, I do believe that Secret Wars II may be yet another part of the Crisis. Nick Fury also appeared in the original Marvel Transformers comic series. December 1985--AMAZING STORIES--"Remote Control Man"--The Hulk is briefly pulled into Earth-Prime by a man with a magic remote control. 1988--THE INCREDIBLE HULK RETURNS--For two years, the Hulk has not surfaced. Banner has a girlfriend, and has created a machine almost ready to cure him. But then things go awry when Banner is contacted by an old friend, Dr. Donald Blake. Blake has amazing news. He has found a Hammer that summons the Norse god Thor. A bad guy steals the curing machine and the girlfriend, so Thor and Hulk must save the day, but they also fight each other and smash the machine. Thus Banner is out a cure. September 1990--ATTACK OF THE KILLER TOMATOES--"Tomato from the Black Lagoon"--Matthew Hickman has informed me now in this episode http://www.youtube.com/user/mattind69v3#grid/user/3214F09E11846DC7 they travel to the black lagoon and meet the hulk at the airport. 1990--THE DEATH OF THE INCREDIBLE HULK--Yup, he dies while trying to help out a good spy forced to do bad things. He falls out of a plane. However, since the network planned on making more movies (but sadly Bixby died), and since Win lists Hulk crossovers after this, I will agree that the Hulk's regenerative abilities helped the two-in-one hero survive. 1995--THE REVENGE OF THE INCREDIBLE HULK--The Hulk and Banner are revealed to have survived the events of five years ago. And somehow the process has added intelligence to the Hulk, allowing him to talk now. 1999--SPIDER-MAN: THE GATHERING OF THE SINISTER SIX--This novel trilogy is not part of the Marvel Universe, and so is easily incorporated into the TVCU. The crosses are SPIDER-MAN, THE INVADERS (CAPTAIN AMERICA, HUMAN TORCH, SUB-MARINER, UNION JACK), CASABLANCA, WOLVERINE, JACKIE CHAN, TERRY AND THE PIRATES, SILENCE OF THE LAMBS, FARGO, TRADING PLACES, COMING TO AMERICA, PUNISHER, THE GREAT RACE, NORTH BY NORTHWEST, RAIDERS OF THE LOST ARK, MARATHON MAN, SMILIN' JACK, BLACK WIDOWER, SHERLOCK HOLMES, IRON MAN, DIE HARD, FU MANCHU, JAMES BOND, SUPERMAN, THE 87TH PRECINCT, ELLERY QUEEN, BATMAN (including the 1989 film specifically), THE USUAL SUSPECTS, CARMEN SAN DIEGO, UNBREAKABLE, MALTESE FALCON, LAW AND ORDER, NYPD BLUE, SCOOBY-DOO, and probably more that my TVCU crew and I have yet to find. June 1999--Gen 13: Netherwar--James says: Gen 13: Netherwar, a tie-in novel by Christopher Golden and Jeff Matiotte, throws the teenaged superheroes against a freshly opened hellmouth (yes, a Buffy crossover) under Las Vagas. Though he doesn't directly appear--probably--Satan is one of the primary villains in the story. In addition, a copy of De Vermis Mysteriis appears. Of course, the team leader John Lynch is actually a retried Nick Fury. Rob says: At least this time it's not me bringing more super-heroes into the TVCU. December 2004--TOTALLY SPIES!--"The Incredible Bulk"--Clover, Sam, and Mandy, teens working for the government as agents, have an encounter with the Hulk. 2007--THE KINGDOM--Colonel al-Ghazi says the Hulk was the reason he became a cop, calling it "the Green Beast"
2008--IRON MAN--In the TVCU, Tony Stark was born in the 1960s (like the actor who plays him) and became Iron Man in 2008. The comic book version of Tony Stark exists in a divergent timeline. Captain America's shield can be seen on the table behind Tony Stark in Iron Man (screen cap here ). Agent Coulson is a minor character in Iron Man, and Nick Fury has a cameo, where he name-drops "The Avengers Initiative", in The Stinger. 2008--IRON MAN 2--This film takes place just a short time after the first film. Black Widow debuts in this film. This is Natasha Romanoff The comic book version exists in a divergent timeline. The Stinger in Iron Man 2 shows a S.H.I.E.L.D. agent finding Thor's hammer. Iron Man 2 includes news footage of events from The Incredible Hulk. Captain America's shield plays a much bigger role in Iron Man 2. Both Fury and Coulson play more significant roles in Iron Man 2, where Fury reveals Howard Stark's S.H.I.E.L.D. connection and Coulson gives Tony Stark Captain America's shield. Black Widow also plays a key role in Iron Man 2. It is Coulson that finds Mjolnir at the end of Iron Man 2, and contacts Fury about it. 2008--THOR--Thor is the same Thor from previous entries here. He does not remember his previous encounter with the other Hulk, nor having bonded with Dr. Donald Blake, who coincidentally he takes the identity of in this film, as his Jane Foster dated Blake once. 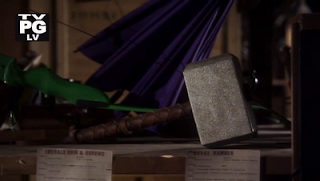 Note that I place all the "Marvel Cinematic Universe" series to take place in 2008, so the tale for how Thor lost his hammer and it ended up the next year in Warehouse 13 can still be speculated at this time. Coulson plays a major role in Thor, and Nick Fury has a brief cameo. Hawkeye first appears. His comic book counterpart, like Thor, exists in a divergent timeline. 2008--INCREDIBLE HULK--This Hulk is Bruce Banner. The one concept I still carry over from Dennis Power is that David and Bruce are cousins. The comic book version exists in a divergent timeline, but this film is in the TVCU, even the Hulk battle in the city. The events of this film happen concurrently with the events of Iron Man 2 and Thor. Tony Stark appears in The Stinger in The Incredible Hulk (the 2008 one) to comment on those events. Captain America's shield appears in an alternate opening sequence to The Incredible Hulk (see here ). 2008--MARVEL'S THE AVENGERS--This takes place very shortly after the last three films and the prologue to CAPTAIN AMERICA. Borrowing from the comics, we can assume that this Nick Fury is actually the son of the other Nick Fury from the comics, who has crossovers with James Bond, Dean Martin, and more. The Avengers Initiative must be a revival of the 1970s/1980s Super Powers Team (aka the Super Friends or the Justice League of America). In fact, in one of the previews for Iron Man 3, Stark's assistant refers to the Avengers as the Super Friends, cementing this concept. It should be noted that I'm placing this in the TVCU, even though there's a huge alien invasion going on in New York City. Let's face it. Alien invasions seem to happen all the time on Earth, and they are often dismissed. Obviously, we can assume that huge Statue of Liberty memory eraser used by the Men in Black is involved. Even "the man" interviewed at the end of the film was not a "true believer" of super-heroes in New York City. And if this solution still bothers you, then simply disregard for your own personal crossover reality. (Future films, timeline unknown, in the series are planned, which are Iron Man 3, Thor: The Dark World, Captain America: The Winter Soldier, Guardians of the Galaxy, The Avengers 2, and Ant-Man. In November 2010, Marvel Comics editor-in-chief Joe Quesada outlined his plan to expand the MCU into comic books. He explained, "[F]or the uninitiated, the MCU [comics] are going to be stories set within movie continuity. [They are] not necessarily direct adaptations of the movies, but maybe something that happened off screen and was mentioned in the movie, and we'll tell that story. ... [T]he folks that are involved in the movies on the West Coast will be involved in these stories. It won't be like one of our comic book writers saw the movie and has an idea for a story. No, these stories are originating at the very top. [Marvel Studios chief] Kevin Feige is involved with these and in some cases maybe the writers of the movies would be involved in ... generating these ideas and then either just giving them to some of our writers or maybe some of these guys writing them themselves." In August 2011, Marvel announced a series of direct-to-video short films called Marvel One-Shots. The first short film, The Consultant, is included with the Thor Blu-ray release, which was released on September 13, 2011. A second, A Funny Thing Happened on the Way to Thor's Hammer, was released on the Captain America: The First Avenger Blu-ray on October 25, 2011. Both films star Clark Gregg as Phil Coulson, offering up two self-contained stories about the day in the life of a S.H.I.E.L.D. agent. A third film titled Item 47 was released with The Avengers Blu-ray on September 25, 2012. In December 2010, it was reported that Twilight screenwriter Melissa Rosenberg is developing a series originally for ABC titled AKA Jessica Jones, based on the comic book series Alias created by Brian Michael Bendis. In November 2011, Rosenberg stated that the TV show would center on Jessica Jones and would have principal parts for Luke Cage and Carol Danvers. She also confirmed that the TV series would absolutely take place in the larger "cinematic" Marvel Universe and Tony Stark and Stark Industries are in the current pilot script but admitted, "As we go along things will alter in terms of what is made available to us, but we're definitely in that universe. We are in no way denying that that universe exists. And as much as I can I'm going to pull everything in from there that I can use". In May 2012, ABC president Paul Lee stated the network has passed on the series. In July 2012 it was reported that Marvel's TV division had again entered into discussions with ABC to do a show set in the MCU, and in August ABC ordered a pilot for a show called S.H.I.E.L.D., to be written by Joss Whedon, Jed Whedon, and Maurissa Tancharoen, and directed by Joss Whedon. Clark Gregg is cast to reprise his role from the films as Phil Coulson in the series. Summer 2008--PHINEAS AND FERB: MISSION MARVEL--The upcoming Disney/Marvel crossover Phineas and Ferb: Mission Marvel features the Marvel heroes Spider-Man, Iron Man, the Hulk, and Thor, the Marvel villans Whiplash, MODOK, Red Skull, and Venom, and characters from Phineas and Ferb, where the storyline involves Phineas and Ferb trying to restore power to the Marvel heroes, whose powers were taken away by Doofenshmirtz. The “Evil League of Evil Leaders,” or the mafia godfathers over much of the TVCU’s supervillain community, includes a man who claims to be the true Thomas Jefferson. This is argued against by his super-strength and immortality, but considering Jefferson’s prior (half-completed) deal with the devil, anything is possible. However, it is important to note that elements of the true events were greatly exaggerated. Dr. Horrible’s Sing-Along Blog is in the TVCU based on reused weapon and costume props from Firefly; as all of the reused props are in the possession of Dr. Horrible, we may assume he time traveled to the future and stole a number of small items. Firefly is in the TVCU via a number of crossovers with the Halo franchise, which in turn has a large amount of crossovers linking it to the TVCU via the Aliens and Predator series, Iron Man, and Mass Effect. Mass Effect in turn has crossover links to Army of Darkness, Dracula, The Princess Bride, the Cthulhu Mythos, Hitchhiker’s Guide to the Galaxy, A Clockwork Orange, and Stark Trek (among others). All of the crossovers within Firefly, Halo, and Mass Effect will be covered in a future blog. 2009--WAREHOUSE 13--Season Two; Episode Two: "Mild Mannered"
Umbrella, Green Arrow's bow, and Wonder Woman's magic lasso can be seen. world, the identification of the artifacts is assured. This is not an issue for the Penguin or Green Arrow, technology changes and surely older versions of their signature gadgets would end up in the warehouse; but we must ask ourselves, how did Thor’s Hammer and Wonder Woman’s lasso arrive here? survived his battle with The Shadow, to assist the Nazis in raising demons. September 2009--SUPERNATURAL--"Free to Be You and Me"--A hunter refers to the Hulk when he talks about Sam's demon powers. October 2009--VENTURE BROS.--"Blood of the Father, Heart of Steel"--The Argentinian surgeon tells Brock that ever since Iron Man, everybody wants a robot heart. November 2009--SUPERNATURAL--"Changing Channels"--A trickster demon turns a local into a replica of the Hulk. 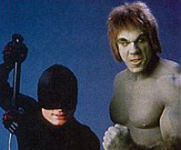 Though they refer to the show, it's likely that this was the show based upon Jack McGee's reports about the real Hulk. 2011--OCCASIONAL COMICS DISORDER--"Muppets Thor"--Thor meets the Muppets. Read the story here. March 2013--SIMPSONS--Nick Fury (Junior) appears in the Simpsons. The So-Called Near Future--SHE-HULK # 5--Doctor Bong sends She-Hulk to the future of an alternate reality of Doctor Who, where she encounters Robo-Cop. This one may be known already, but it's one of my favorites. The movie series "Project A-Ko" was one of the first anime films to see stateside release in the wake of "Akira". And it's silly. So very silly. In the film and its sequels, the main characters are revealed to have crossover heritage with some western comic book characters. The title girl, A-Ko (Eiko) is revealed at the end of the first movie to be the daughter of Superman and Wonder Woman (he's reading the daily pl(e)net with the word "Superm-" and "Mad Scie-" on the cover; her face is modeled after Lynda Carter and the daughter wears power-limiting bracers), and her rival B-Ko (Biko) is revealed to be the daughter of Iron Man (visual design and penchant for power armor). There's a dozen other references, but none really make a proper crossover besides them. The movie is a bizarre comedy, but for anime fans like me, it was one of the first ones we got--so it has a special place in our hearts. BONGO ANOMALY: The Hulk has appeared twice on THE SIMPSONS. This Hulk is likely not the TVCU Hulk, but rather his Looniverse counterpart. MARVEL UNIVERSE (EARTH-616)--Noted because apparently Guiding Light is part of the same reality as the Avengers comic!!! MARVEL MULTIVERSE: The Marvel Multiverse contains many alternate realities with counterparts to Marvel characters. Hulk counterparts exist in HULK (1966 animated series), SPIDER-MAN AND HIS AMAZING FRIENDS, FANTASTIC FOUR (1990s animated series), IRON MAN (animated series), THE INCREDIBLE HULK (1990s animated series), ULTIMATE AVENGERS I AND II, FANTASTIC FOUR (2006 animated series), THE HULK AND THE INCREDIBLE HULK (feature films), NEXT AVENGERS: HEROES OF TOMORROW, WOLVERINE AND THE X-MEN, HULK VS., IRON MAN: ARMORED ADVENTURES, PLANET HULK, AVENGERS ASSEMBLE, THE AVENGERS: EARTH'S MIGHTIEST HEROES, THE SUPER HERO SQUAD SHOW, AND THE AVENGERS. Additionally, Thor has appeared in MIGHTY THOR, THE MARVEL SUPERHEROES, CAPTAIN AMERICA, THOR, THOR: TALES OF ASGARD, ALMIGHTY THOR, AND THOR. Daredevil also appeared in SPIDER-MAN (1990s animated series), Daredevil (feature film), ELEKTRA (THE HAND AND THE DEVIL), and PUNISHER '79 - 82. NOT ANOTHER SPOOF MOVIE UNIVERSE--Yeah, that's what I'm calling. This is the reality of those recent movies that spoof whatever pop culture things are relevant at the moment. This includes DISASTER MOVIE, which features this universe's counterpart of the Hulk. ROBOT CHICKEN UNIVERSE--There have been three appearances so far of the Hulk in this reality. Alternatively, a single popular character can cross over from one show into the other, for a brief guest appearance; this has the effect of attracting that character's fans from the other show without requiring the writing teams to sync up or creating DVD- and arc-unfriendly episodes. This is very common in comic books, in which most characters are part of a larger universe, such as the Marvel Universe or The DCU. It happens less often in TV and movie properties based on comic books, since they are often made by different production companies. Coulson plays a major role in Thor, and Nick Fury has a brief cameo. Iron Man 2 includes news footage of events from The Incredible Hulk. Black Widow also plays a key role in Iron Man 2. Here's what the Crew has posted lately about the Marvel Cinematic Universe. Facebook won't let me link to Bleeding Cool Dot Com, but there is an article speculating about a link between "Marvel's Agents of zzzz" and "Misfits"
For more Lost Issues featuring the Avengers, click here. I thought the crew here would be interested to know that the Asgardian goddess Sif will be having a crossover guest star role on an upcoming episode of "Agents of S.H.I.E.L.D." 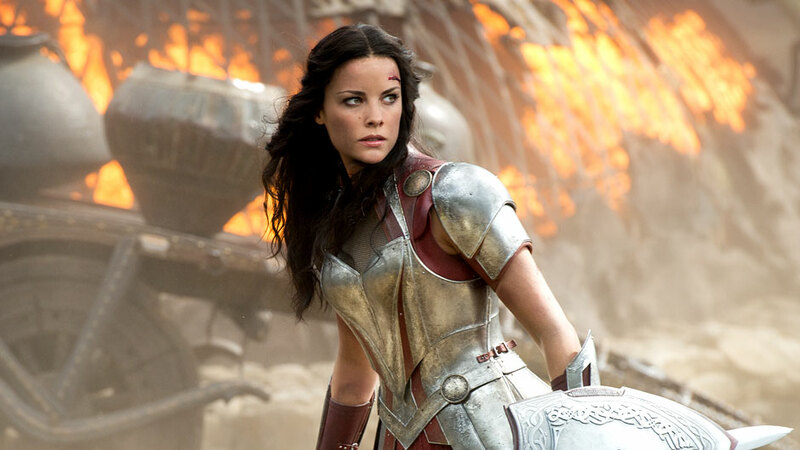 The Lady Sif Set to Drop in on Marvel's Agents of S.H.I.E.L.D. The MCU is not part of the HCU, but there are still counterparts. The Story: Spektor is in Rutland, Vermont for the annual Masque Macabre Halloween parade when the Dark Gods bring several statues to life. HCU Comments: The Statues brought to life are Dracula, Frankenstein’s Monster, Count Wulfstein, the Lurker, the Purple Zombie, Mr. Hyde, Simbar, and Ra-Ka-Tep. Though these are all statues brought to life, most are characters met by Spektor already, so the presumption is that the others are also in the same reality as Spektor as well. This parade is a real annual event, but it appears often in comics. It’s considered one of the first intercompany crossovers because multiple comic book companies use it as a setting. This was an intentional attempt by comics writers to get past legalities and present that all the comics co-exist in the same reality. Because of writer’s intent, I’m inclined to allow the crossovers, even though I really hate to make the HCU into a superhero universe. The compromise is to say that the above crosses are all in, but superheroes in the HCU were more or less not as public as in their main comic book universes, and their careers only lasted from the 1960s to the mid 1980s at most. It was a weird quirky phenomenon in the HCU and most people today have no recollection that super-heroes ever existed. The Story: Iron Man comes to the assistance of the Frankenstein Monster at Castle Frankenstein to save a modern day Frankenstein family member. HCU Comments: This bring in Iron Man, but likely only his adventures ended in the mid 1980s. This is the Marvel version of the Frankenstein monster. Whether he is the original from Mary Shelley’s novel or a later creation is debateable. The Story: The Invaders journey to Castle Frankenstein in Switzerland to stop Doctor Basil Frankenstein from creating an army of Nazi Frankenstein monsters. HCU Comments: This cross is labeled as such above because it’s part of the Marvel Frankenstein canon. This brings in the Invaders, and it’s members Captain America, Sub-Mariner, and the first Human Torch. This doesn’t bring in all of the Marvel Universe, but it does mean that at least the golden age stories featuring those heroes, as well as post golden age stories retroactively set in that era, are in the Horror Crossover Universe. The Story: The Doctor and his companions attend a birthday party on a planet within a time vortex. The Story: Spider-Man rescues the Defenders from the Serpent Men. In the process, Spider-Man is poisoned, and the only cure can be found in the ancient past. Doctor Strange sends Spider-Man to the past where he meets Kull and gains his cure. HCU Comments: Two parter. The first featured Spider-Man and the Devil Salyer. Part two featured Spider-Man and Kull. Kull’s past has been firmly established to exist in the Horror Crossover Universe mainly due to Robert E. Howard’s tendency to include links to Lovecraft’s Cthulhu Mythos in his sword and sorcery stories. In the Horror Crossover Universe, I believe Spider-Man and other Marvel heroes did operate for a short time of about 25 years, from the 1960s to the mid 1980s. The Defenders team in this story is Doctor Strange, Sub-Mariner, Hulk, Devil-Slayer, Gargoyle, and Valkyrie. Doctor Strange has several crosses, most notably with Tomb of Dracula. The Sub-Mariner has crosses in both the golden age and the silver age. The Hulk here is the comics version, as opposed to the television series that was brought in via a reference in a Kolchak story. Since the comics version is Bruce and the television version is David, they could still both exist in the Horror Crossover Universe. The Devil-Slayer had his own series, which was a horror/super-hero type series. Gargoyle and Valkyrie are both original characters from the Defenders series. The Story: Karena, agent of the Dark Gods, once again attacks Spektor, this time by controlling the super-hero Dr. Solar. HCU Comments: The Dark Gods are from Glut’s series of stories. Doctor Solar was another Gold Key character, whose series had ended. This was a way to give him an ending. This story brings in Dr. Solar, but not the later revival series Solar, Man of the Atom from Valient. Solar says that he works for the government now, for a man named Nick. This is meant to be Nick Fury, which is confirmed in Doctor Spektor # 23. Nick Fury’s World War II era stories were brought in previously, and this story brings in his silver age adventures. But as with all Marvel heroes, we must not use Nick to bring in other Marvel characters, and we must assume that he likely retired in the mid 1980s at the latest. As it is, even then, he’d be pretty old since he fought in World War II.